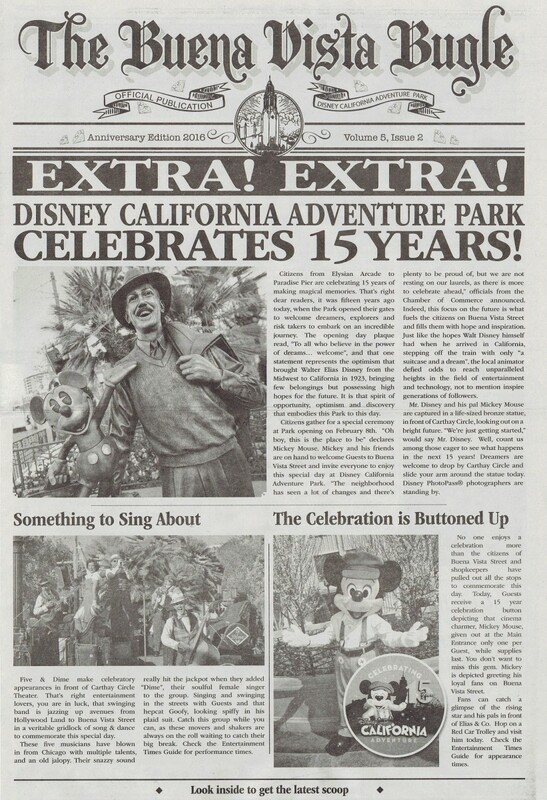 In 2012, Disney California Adventure did a complete redesign of the main entrance of the park to resemble Los Angeles during the 1930s when Walt came to follow his dreams which they named Buena Vista Street. 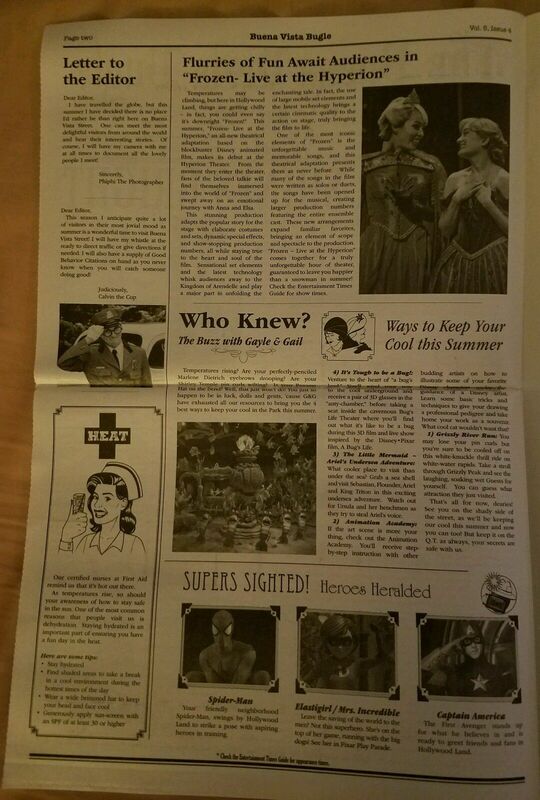 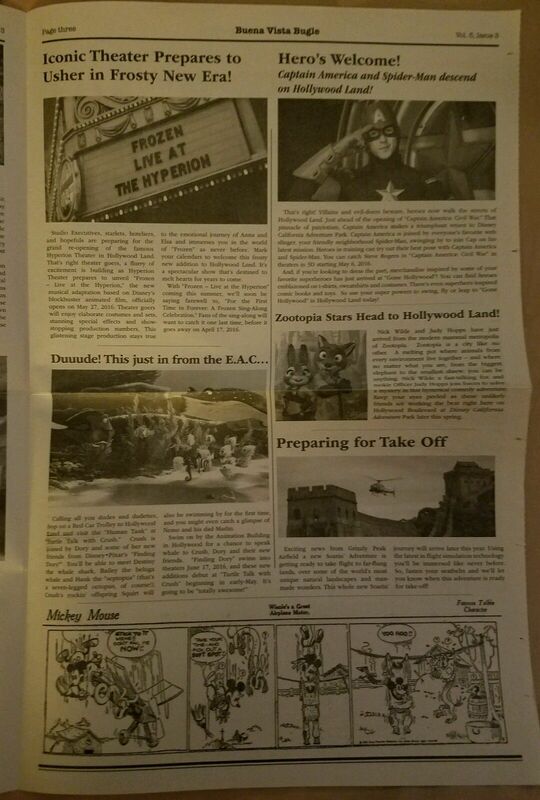 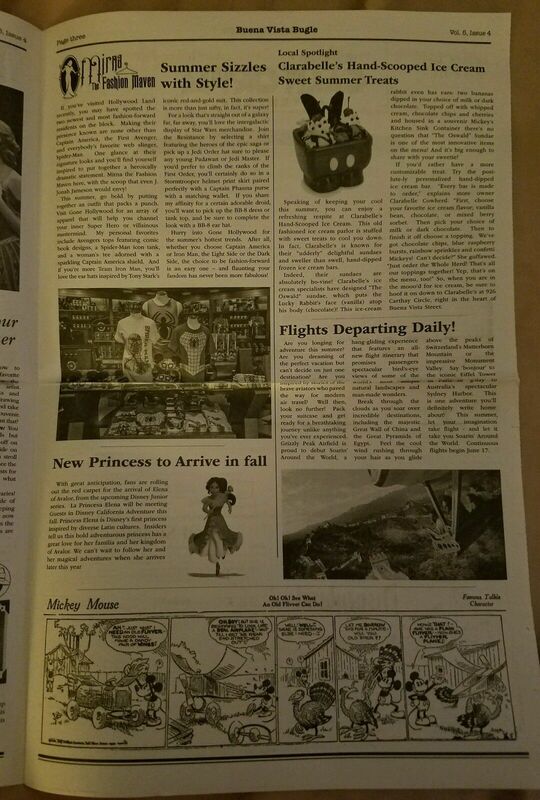 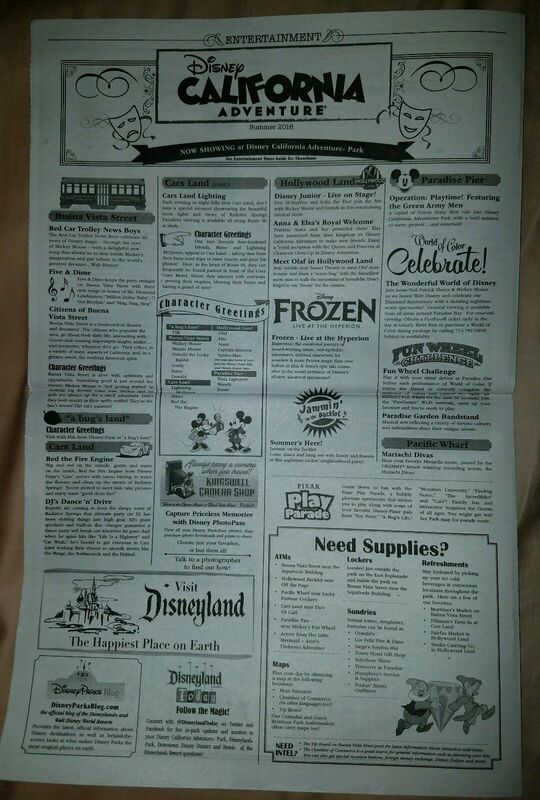 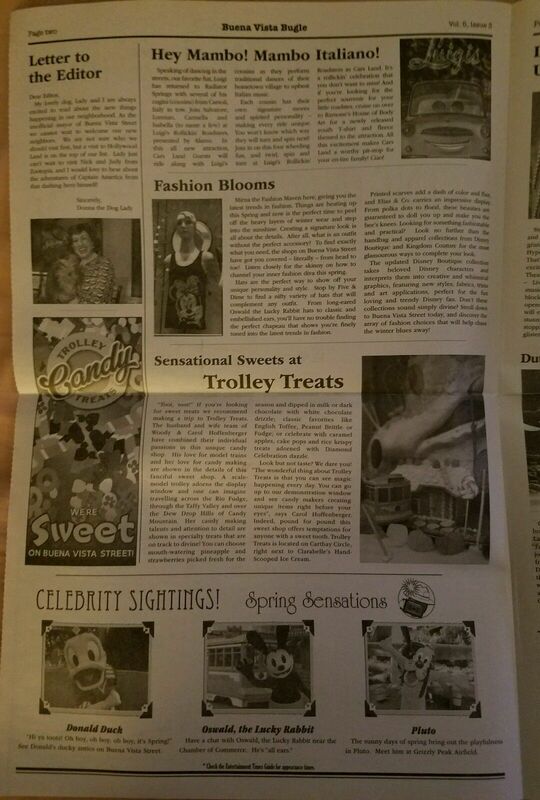 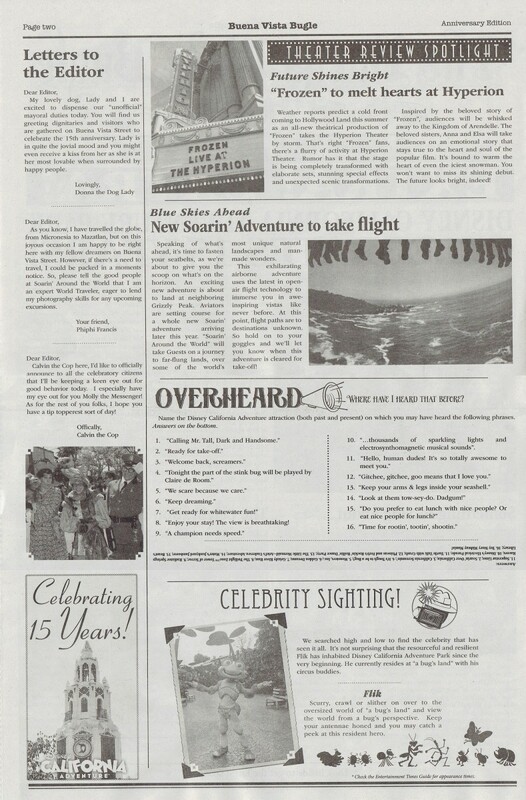 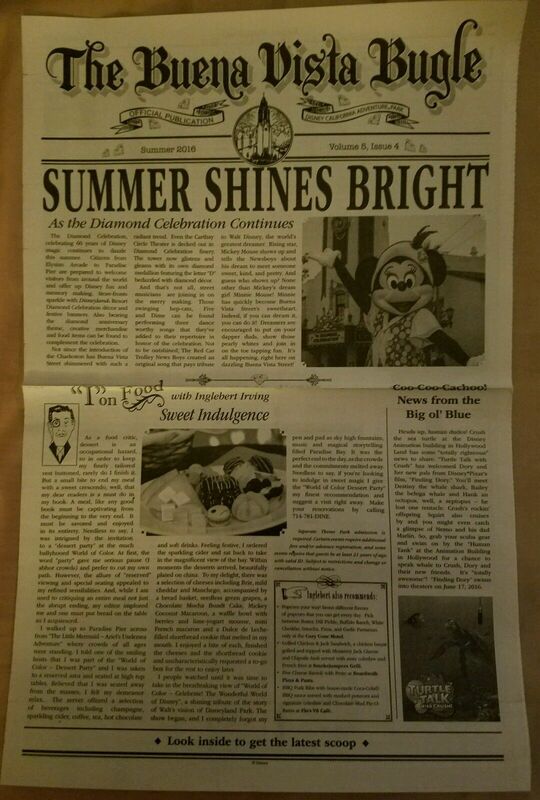 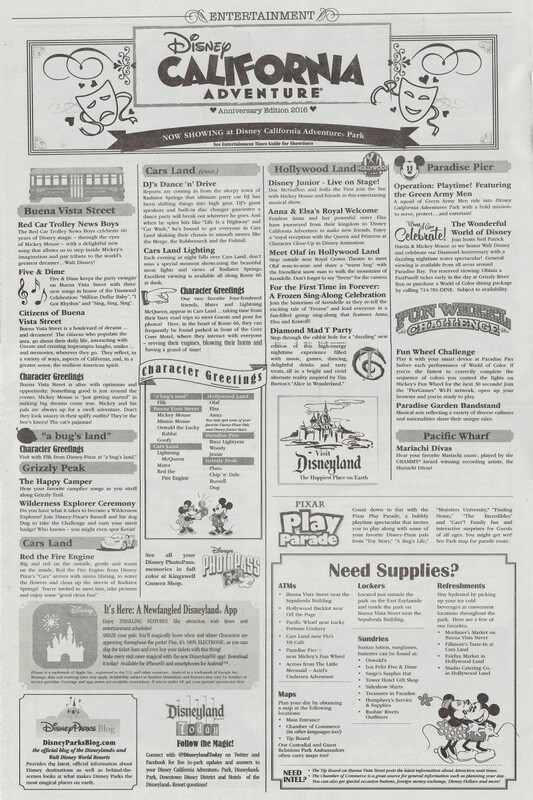 Along with the redesign, they stated producing a 4 page Newspaper titled the “Buena Vista Bugle.” This four page newspaper can only be found on newsstands within the Buena Vista Street entrance and detail all the new attractions, shows and events. 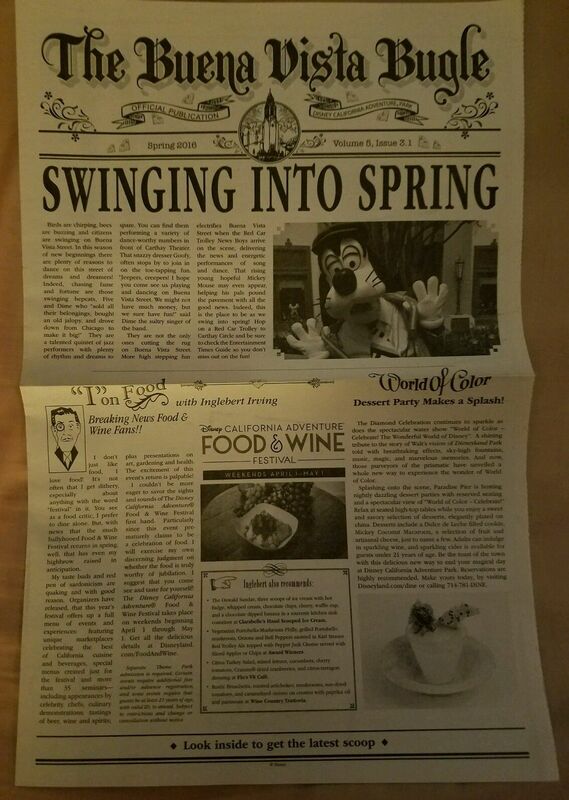 Issues of the newspaper are issued sporadically. 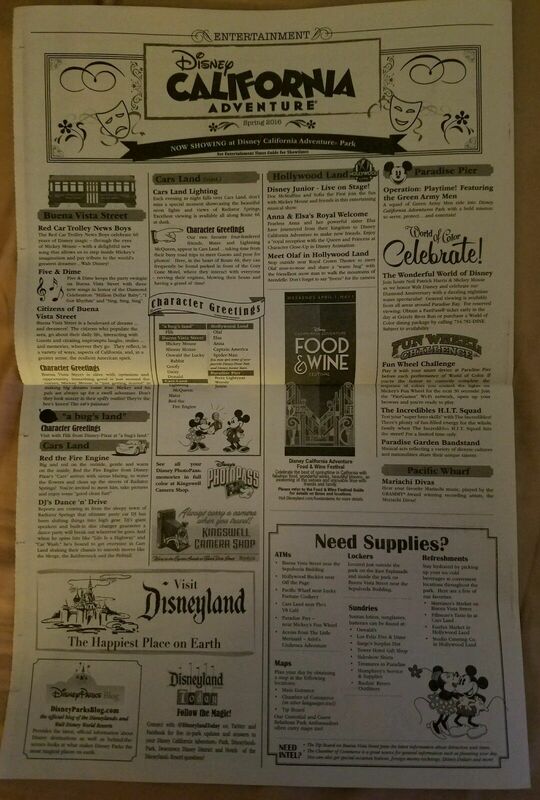 As of October 2016, I have received confirmation from DCA that the bugle is “discontinued.” RIP Buena Vista Bugle, it was fun collecting you while it lasted.